This Italian winery for sale is located in a strategic position in Central Italy in the triangle of the regions Tuscany, Umbria and Lazio. The winery comprises about 9.4 hectares (ha) of vineyards facing south-southeast, which have just reached their full productivity and potential. The winery produces three red wines, two white wines and one rosé, which are currently almost exclusively marketed in Italy. All vineyards were planted between 2007 and 2014 and are made up of about 4.6 ha Sangiovese, about 1.7 ha Cabernet Sauvignon, 1.1 ha Chardonnay, 0.8 ha Ciliegiolo, 0.68 ha Montepulciano and 0.5 ha Grechetto. The vineyards are listed as Colli Etruschi Viterbesi, Lazio Cabernet Sauvignon, Lazio Ciliegiolo, Lazio Grechetto, Lazio Sangiovese, Lazio Chardonney, Lazio Bianco and Lazio Rosso. 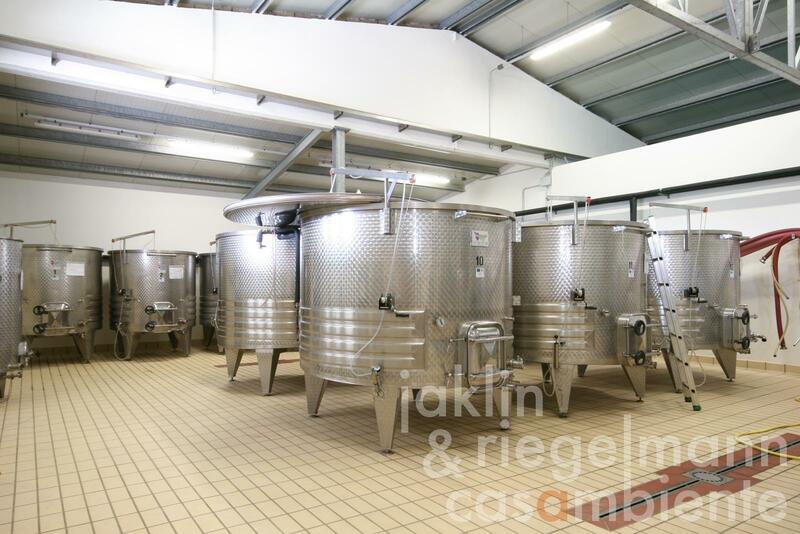 The wine cellar and storage building (about 640 m²) was newly built in 2012 and offers surfaces for wine production and ageing, storage, tasting and sales, office and utilities. The wine cellar is equipped with a cooling plant for INOX-casks. The areas for wine production and storage are air-conditioned (temperature, humidity). A shelter for machinery (about 175 m²) is connected to the wine cellar. All equipment and machinery is included in this offer. A small ruin (about 60 m²) amidst the vineyards can be restored and eventually extended. Italy, region Lazio, province Viterbo. Electricity, mains water, heating, air conditioning, private parking, vineyard.